This book completely captivated me from the opening chapter and held my attention with each word. What a great suspenseful read! Mercy Brennan is one tough girl. She is a highly trained U.S. Marshal with nerves of steel and no emotions. She means business and nothing else. She is always aware of things around her and nothing surprises her. Until her father asks to meet with her – and then everything goes wrong. Telly and Mark are good at what they do, but they also have a deep commitment to Mercy and her safety. As this book takes us through the inside world of the drug cartel and the hold they have on law enforcement, we see the dedication these three characters have to each other and to their jobs. As they find themselves alone and their lives in danger, we get to see just how deep their friendship is. The insights this book gives us into the world of drugs, crime, and gangs scared me. I know it is parallel to real life and the inner workings of these groups. But this book also gives me hope. We get to see God put his hand of protection around these characters, even when they forget to ask Him for help. He watches over them, shows them ways out of their circumstances, and talks them through some of the toughest decisions they have to make. We see the faith of some of these characters grow stronger, and we get to see another character develop a belief in God. This is a great book. It has all the suspense, a bit of romance, and a deep story of God’s protection. I cannot wait for the rest of this series and getting to follow these characters through the next few years of their lives. What a fun book! My kids have numerous Christmas books on their shelves and they all seem to run together before too long, but this book is unique in a way that has made my children ask for it over and over again in recent days. This book takes each person associated with the Christmas story and tells a little of their background and the moment they realized they were going to be a part of something special. Isaiah learns of the coming birth, Joseph has a dream to assure him, the Wise Men bring gifts. After each story there is a quick poem to recap the story. My daughter enjoys the story part of this book because it is written at her level (age 7), while my son (age 4) enjoys the poem portions. Both get the point of the people involved in a way they can understand. Both of my children love the letter. After each section, there is a letter from God. It is written on a folded notecard and is addressed to the child (you write in the name). It is as if God is talking directly to the child and telling how He felt about the events taking place. My kids enjoy reading the notes and talking about them. This is one of those books that can span many ages and still be enjoyable while teaching children about the perfect story of Jesus’ birth. This is a must-have for your kids this Christmas. This book has many amazing reviews and I have read several series in this genre and enjoyed them, so I thought I would love this book as well. Unfortunately, that was not the case for me. I had such a difficult time getting into this story. The characters seemed distant to me and I never felt that connection to them that I enjoy so much from a book. I felt the story moved along at much too quickly of a pace and was told with little regard to the characters’ thoughts and feelings. I found myself lost and confused through much of the books, and even re-read parts to see if I had missed something. While this was not the book for me, there are still many people out there who have enjoyed it. If it sounds like your kind of book, pick it up and give it a try. 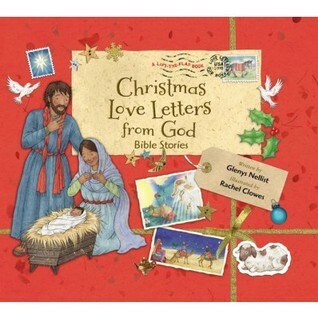 I love children's books that tell of the Christmas story, and this book is a perfect addition to our home library. 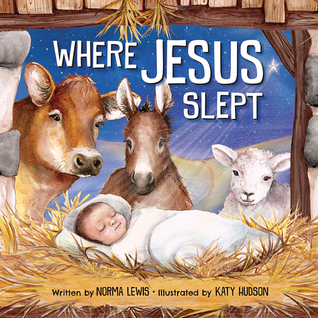 In this book, children are introduced to the people, places and things surrounding the story of Jesus’ birth. The story builds upon itself through the pages as each aspect is introduced to the reader. The illustrations are breath-taking and will capture your attention as well as your child's. My younger child enjoyed the simplicity of how the story is told, while my older child was excited it was a book she could read on her own. Both kids have read this book over and over again, and could probably recite it by now! I think this is a great book to add to your Christmas collection, and one your kids will enjoy for many years. 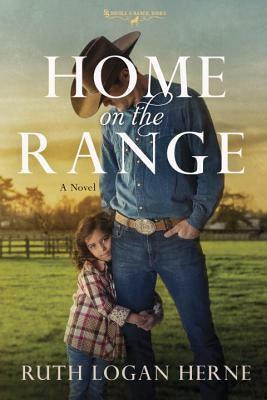 Nick Stafford stayed in central Washington, working his family s large ranch after his brothers left to pursue other passions but his toughest job is being a single dad. As a child he watched his father fail at marriage and parenting, so Nick was determined to show him up. He’d be a better husband, father, and ranch manager than Sam Stafford ever was. Despite that commitment, three years after Nick s wife left him, he has a daughter in trouble at school and both of his girls are facing issues that force him to rethink his stubborn plans. This series. It is not too often a book makes me cry actual tears, but I have cried them with both books in this series so far. We met Colt, Nick, and Trey in the first book in this series and had the privilege of getting to know Colt. 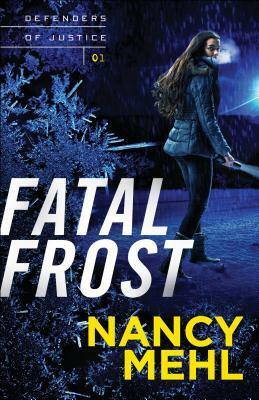 This second book features Nick. Nick is a single father to two girls after his wife left. Years later the oldest daughter, Chayanne is still not doing well with accepting her mother’s abandonment. Both of these girls pulled at my heart strings. I cannot imagine leaving my kids so thinking of these two girls without their mother made me feel so much for them. Nick is on his last effort and enlists Elsa to meet with the girls and help with several aspects of their life. Elsa is an odd woman, and our first impression of her is completely wacky. However, the more we get to know her, the more we realize Elsa is also suffering from the fallout of a traumatic event in her life. As we learn more about the events surrounding her trauma, we realize she has taken on a huge responsibility that was not really hers to take. Elsa and Nick’s relationship is swoon-worthy! These two are absolutely perfect for each other, and I just wanted them to get married already. However, of course real-life gets in the way, and these two must overcome personal setbacks as well as ghosts from their past that continue to haunt them. This book can easily be read as a stand-alone, but you will enjoy it much more if you read the entire series and get the background on many of these characters. Trey’s story will be next, and I cannot wait! This was my first book from this author, but one book and I have become a fan. Grant is such a complex character. Warm and loving one minute, harsh and cold the next. We begin the book feeling bad for him because of the way his grandparents treated him. But soon we learn the truth and my heart completely melted for him. Such a sad situation and missing so much in life, I was hopeful he would find a way to make it all alright in his heart. Jami is a girl easy to like. She has returned to a town that obviously knows her well and has been accepted right back into life. She had heartache growing up but she found the love of God and seems to be doing well despite her childhood. I wanted so badly for her and Grant to become a couple, and each time things got messed up I was so disappointed. These characters have a common thread in God. Although it takes one of them a little longer to get there, we see God work in their lives to erase years of pain and bring them a future of joy. The way they encourage one another and continue to turn to God was amazing. I loved these characters, this town, and their story. Maggie James spent years all-consumed by her wedding photography business, hiding out from love after a painful breakup. When fellow photographer and consummate rogue Simon Walker came into her life, she held him at arms length to protect her fragile heart from being broken again. But after discovering how he selflessly helped her business in a very big way and admitting her mistaken assumptions about him, she is finally ready to give him a chance. 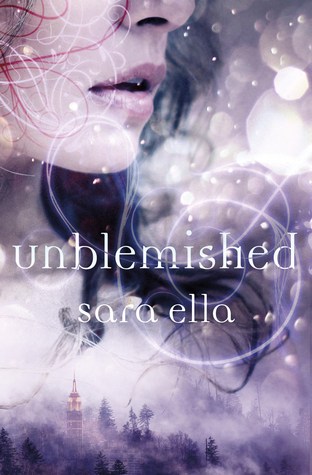 Will fear keep her from truly opening her heart to him? Or will secrets tear them apart? From small town Michigan to the sunny shores of Malibu, California, Maggie and Simon must navigate their budding relationship, survive family drama, and come face to face with the past to see if their faith and ever growing love are enough to get them to forever. I love all these characters so much, I was excited to find out Maggie and Simon were getting their story told. We watched as Maggie and Simon struggled to find their way to each other, and we have already had the privilege of seeing how their lives turn out. But to get this short glimpse into the first few weeks of their relationship was perfection. We know enough about Maggie’s past to know she has been deeply hurt by her former fiancé. To expect her to fully trust any guy at this point in her life would be asking a lot. But we also know how much she truly loves Simon. She has loved him for a while and wants their relationship to work in every way. It hurt my heart to see her struggle with her love for Simon and her hurt from Ben. Simon was one of those characters I really disliked when we first met him. He was both arrogant and persistent and I wished he would disappear. At the same time, I really wanted him to win Maggie over. He is cautious, but knows what he wants. In this book we learn a lot about his background and the life he comes from. It’s not all ponies and roses, and getting a glimpse into that reality made me fall in love with him. I am so glad we got this book and a further glimpse into Maggie and Simon’s story. This is a wonderful story and you definitely need to add it to your reading list. 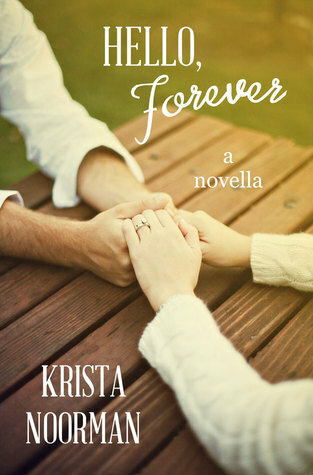 Krista Noorman is the author of the young adult novel, The Truth About Drew , and the Cornerstone contemporary Christian romance series. Most of her life has been spent scribbling away in journals, while documenting her every day life, but it wasn't until she took part in National Novel Writing Month that she found her true calling and turned her pen to fiction. The Bible Belles are back, and this time the story is about Abigail. I have to admit I was not sure I knew Abigail’s story when we first received this book. I was looking forward to learning more as much as my daughter. Abigail was married to a mean man who treated others unfairly. Through her bravery and willingness to reach out on her own, Abigail was able to stop the noble men from acting out of anger. Through Abigail’s story, we learn how being brave can work to the good in any situation. Rooney learns first hand how bravery can pay off after her brother is mean to the new neighbors. It is through her acts of being brave like Abigail that Rooney is able to make things alright with the neighbors and apologize on behalf of her brother. 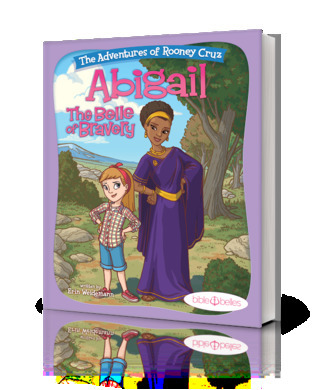 Just like the previous books in the Bible Belles series, Rooney earns a bell at the end of the story. This bell is for bravery. As the series builds Rooney’s bells are beginning to spell something. We can’t wait for the remaining books in this series to see what Rooney will discover at the end. A Spanish-slinging wife and mama of two kids (one with paws), Erin is committed to changing the world’s current definition of beauty. Founder and CEO of Bible Belles and award winning author of “The Adventures of Rooney Cruz” series, Erin encourages her audience to come alongside the next generation of girls to discover God’s love and their unique purpose. A five-time cancer survivor, Erin lives in San Diego, CA, and speaks at events, conferences, churches, and schools. She is pumped about sharing what she’s learned over the last eight years as a former sassy pants know-it-all who found her way back to God after looking for herself in all the wrong places. Funny and real, Erin is the host of the Heroes For Her podcast, interviewing celebrities, actors, musicians, and other women who are living out their passions in line with their personal values. Ready for your first “real” Bible? Great! The print is easy to read and The Beginner’s Bible art is fun and will help you better understand the stories in the Bible. Presentation page so you can make this Bible your own. Complete text of the King James Version (KJV) of the Bible. Large print (11.5-point) type is easy to read. 20 full-color pages of The Beginner’s Bible illustrations help you better understand the stories. 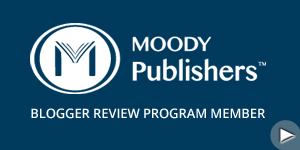 66 book introductions and outlines explain who wrote each book of the Bible and what you will discover as you read. Concordance will help you when you come to a word you don’t know. Words of Christ in red to easily see where in the Bible Jesus speaks Brand new vibrant, three-dimensional art. I think the Bible is the most important book you can give your child. At our house, we only use the King James Version, and I have been so disappointed in how hard it is to find a great KJV Bible for kids. We found a nice KJV for our daughter when she was ready for her first Bible, but it is an adult Bible. 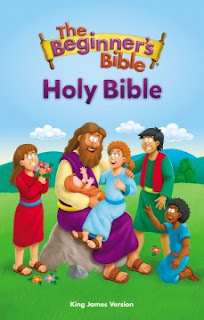 We just began searching for a first Bible for our son, and I was so excited to see this beginner Bible in KJV. The format of this Bible reminds me of the first Bible I received as a child and I still have that Bible on my bookshelf today. The Bible itself is hardcover (perfect for little boys like mine) and feels very sturdy. The inside features easy to read print, with the chapters and verses laid out in a way that is very easy to show kids how to look up scripture. There are even color pictures included. This is exactly what I had in mind when I thought about the first Bibles we would get for our kids and I am so excited to be able to give this one to my son. He has been asking for a Bible and he will be thrilled when he gets this one that is perfect for him. What a joy it has been to be on the launch team for this book. Emily is one special character and it has been an honor to get a glimpse into her life before the rest of the world. Emily Price is one of those girls who always has it together. She has the details of her life all worked out and everything is churning along according to her plans. If something goes wrong around her, she makes it her mission to fix it. She fixes things, she fixes people, and she fixes situations. Emily meets Ben, and his brother Joseph, on an assignment she has been given for work. Her attraction to Ben is immediate and so out of character for her. As she and Ben begin to work together on a restaurant project, we get to see just how vulnerable Emily can be. But we also see the depth of her heart and how much her work means to her. 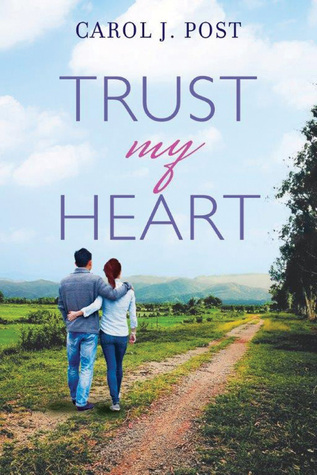 When Emily's life is turned upside down, she makes a decision I never saw coming. A decision so out of character for her that I truly doubted it was going to turn out okay. And just like that we see Emily headed to Italy to start a life she never planned for. 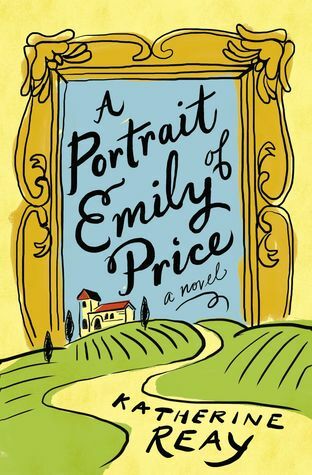 It is in Italy where we see Emily come unraveled and her life begins to fall apart. She tries to take control and fix situations that do not need to be fixed, and it ends up almost costing her everything. This is a story of Emily learning she cannot fix everything, but it also a story of vulnerability and letting God take control of the situation. A story of letting go and forgiving those around you. A story of love. And it is a beautiful story. Katherine Reay has lived all across the country and Europe and has just moved with her family to Chicago. She is a writer, wife, mom, runner, and, most randomly, a tae kwon do black belt. Her debut novel, "Dear Mr. Knightley," is a contemporary story with a dash of Jane Austen and other nineteenth century writers thrown in for the fun of it. Her subsequent novels, "Lizzy & Jane" and "The Bronte Plot," feature stories of hope, reconciliation, family, some seriously good food and travel.